Our 2017 season is just days away now, the first round of the Britcar Dunlop Endurance Championship kicks off at Silverstone on April 8th. This year sees exciting and challenging changes to the race format. We now have two races on same day, a fifty minute, two driver sprint race and a two hour endurance race featuring the regular fuel and tyre pit stops. Not only does this gives spectators much more to see but makes it critical look after the car in the sprint race while still pushing as hard as possible. 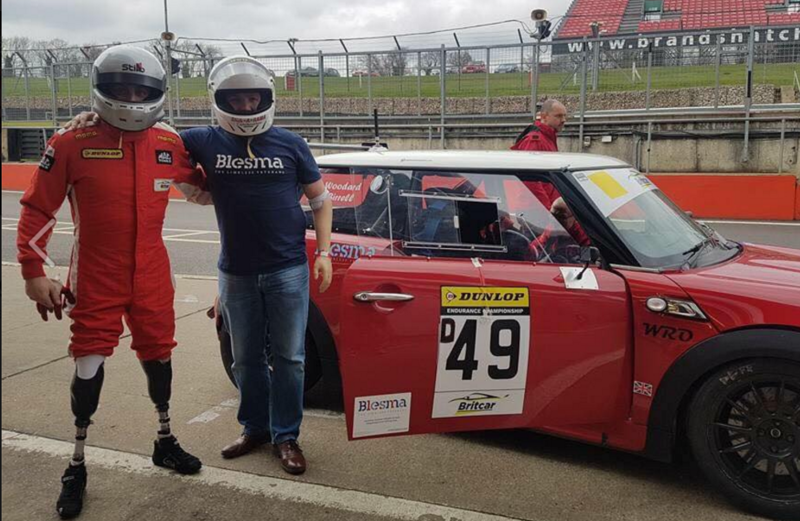 WRO recently entertained guests of BLESMA, the limbless veterans association at Brands Hatch. Our drivers David Birrell and Daniel Woodard providing hot laps to demonstrate both what the car and drivers are capable of. Most of you will know there are no adaptions to the JCW Mini Cooper.